VISION:The Vision of the Virginia Counselors Association is to strengthen the professional identity of counselors through innovative professional development and collaboration. We strive to empower counselors to live well and serve well. 2019 VCA CONVENTION - Where All Counselors Belong! IT'S ELECTION TIME AGAIN! As a member of the Virginia Counselors Association, please take a minute to vote for YOUR 2019-20 VCA President-Elect, Secretary-Elect, and Treasurer-Elect. The deadline for casting your ballot is April 30, 2019, 11:59 p.m. EST. ACA members are offered a full line of professional liability insurance products through the Healthcare Providers Service Organization (HPSO), the largest provider of such insurance in the world. Independent private practitioners as well as those in a group practice can rest assured that they have the most comprehensive coverage possible. ACA professional members with a HPSO liability insurance premium of $100 or more will receive a 10% discount on a new or renewing liability policy. *Discounts are only applicable to members insured with HPSO on individual member policies. CALL FOR SUBMISSIONS - Volume 37! You are invited to share your original work through this opportunity for publication in a refereed professional journal. Submitted manuscripts are acknowledged on receipt by the editor(s) and sent out for review to Editorial Board members using a blind review process. Every effort is made to have disposition decisions completed within 60 days of manuscript submission. Specific guidelines for manuscript submission can be found on the Virginia Counselors Association website. The Virginia Counselors Journal is produced for the benefit of all Virginia counselors; thus we hope to have submissions from a wide variety of counseling specialty areas. Questions about a proposed or actual submission may be directed to the Journal Editor, Carrie Sanders,cbrill@vt.edu. Want to post your resume?At the bottom of your dashboard (the first page after you log in), you'll see a heading called Networking & Careers. All members can post and update resumes in the Career Centre at any time through this new feature. Are you an employer or HR representative looking to hire a counselor? 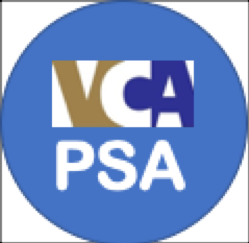 Simply complete a one-time registration by clicking the link to join VCA. You can register as a non-member for free. When you are signed in, you then have access to the Career Centre. You can post/revise your job announcements and review resumes posted by members who are seeking jobs! 18VAC115-20-106. Continuing competency activity criteria. If you have attended a VCA, VCA Chapter or VCA Division program and have a complaint or dispute regarding that program, please write a letter and include the following:Yourname, address, telephone number, email, name of event, date and location of the event, complaint and desired resolution to VCA via one of the following ways- (Email) vcaoffice@cox.net; (FAX) 757-766-5467 or (Mail) VCA, 316 Hodges Cove Rd., Yorktown, VA23692.You will receive a reply from VCA no later than two weeks from the date you submitted the complaint/dispute.